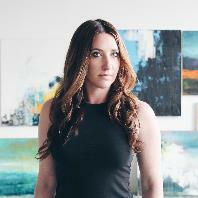 Mia Henry’s paintings are not only gestural and abstract, but also musical. The colors and brushstrokes flow and blend with an unexpected rhythm that translates emotion into a visual experience. Mia is inspired by the memories of her childhood in Newport, Rhode Island, where she would spend time by the ocean. She works almost exclusively with oil on canvas. She emphasizes the tactility and materiality of her process through layered compositions and exploration of new tools. 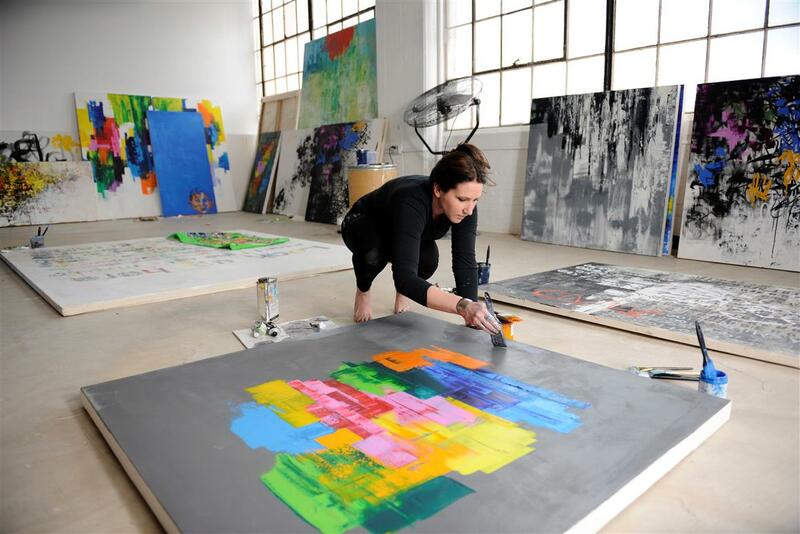 Mia’s compositions give her paintings a lyrical musicality that rings with each abstract crescendos of color. My current work is almost exclusively oil on canvas. I thrive on the materials themselves, marveling at the way they inform me - how they bend and flow depending on the tools I use. The texture and movement of the paint inspires my work and in this way there is always a visible relationship between the medium and the art. My solo show in Scottsdale, AZ is featured in the December edition of American Art Collector Magazine. To all the art collectors out there - thank you for supporting the arts. Hi, Mia. I just bought your painting "POP." Can you tell me about it, such as when you painted it, what it represents, etc. Love your work! Am glad to own one of your pieces! Mia, Overcome looks amazing in foyer. I really enjoy your work . Looking forward to what you paint next! Love, love, love Reflections... and Elevated! They're not in my budget but I can visit them in my wish list!! I'm happy another painting has found a home near my alma mater. Thank you for your post and your purchase. Thanks for the post! In preparations for upcoming shows, I'm working on new series now and hope to expand my ugallery profile soon. We are very happy with the painting. It arrived very quickly, in good condition and was the way it was depicted on the website. Mia is very talented and we wish her the best of luck with her career.